One of the most important things when buying or building a new home is to have a good credit score. Yet, good credit takes time to build. Credit scores are important and need to be taken into consideration when doing any sort of financial planning. There are, however, some practical things you can do today and in the future to keep your credit score low so it’s low when you’re ready to buy or build a home. 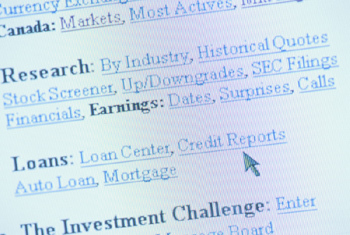 With the changing economic times, credit scores are becoming more and more important. They are the barometer those lending money use to see if you are worth the risk of lending money to for a new home, or anything else you might consider asking to borrow money for. Credit scores vary widely from 300 to 850. Anything you do where you borrow money, such as buy a new home or car, is influenced by your credit score. The higher your credit score is the better. It’s important to monitor your credit score so you know what it is and where you stand if you wish to borrow money. 1. Making Payments on Time (35% of score): Making a late payment can impact you for years to come. Always make your payment on time for great credit. 2. Amount of Revolving Debt (30% of score): The less you owe on your credit card compared to how much you can borrow on your credit card, the better. The ideal credit score has 2 or 3 lines of revolving credit. It’s not just credit cards that’s included in revolving debt, it includes any type of credit lines. 3. Length of Credit Accounts (15% of credit score): Have a higher available credit limit on fewer cards. This strategy will give you the amount of credit you need but will allow you to have a better credit score with fewer accounts opened in a short time period. 4. New Credit (10%): The term “new credit” as it relates to your credit score is a combination of “credit inquires” and opening up new credit. 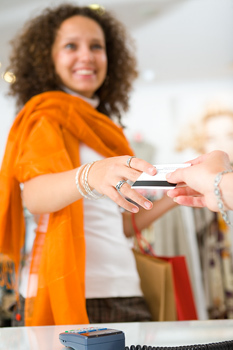 “Credit inquiries” are when you apply for a new credit card or line of credit and your credit has been checked. The last 90 days before you make a major purchase are the most important when it comes to credit inquires. Plan ahead and don’t apply for any form of credit before you make a big purchase so this inquiry doesn’t show up on your credit report. The important thing with credit is remembering it’s not something that can be fixed overnight. So it is not something that should be taken lightly. It’s important to review each component of what makes up the credit score and practice good habits consistently in the long term. In the end, you will be left with great credit and the ability to buy the exact type of house you want when you want. - Where is Your Credit Score Heading?